Newton’s life story is an amazing testimony of God’s grace from beginning to end and in my opinion there isn’t a better biography of that life than the one written in 2007 by Jonathan Aitken: John Newton: From Disgrace to Amazing Grace. 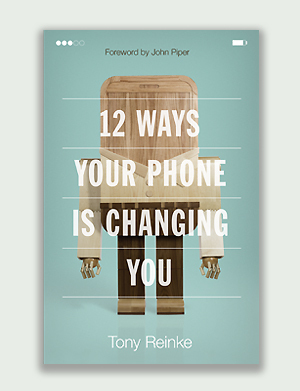 This time I have 2 copies to give away to 2 random winners, all thanks to our generous friends at Crossway Books. This time you can enter only through a comment on this post. Leave a brief comment here and that’s it, you’re entered! Please include your email address in the form field on that comment (which will not be published). Entries will be received until 5 pm EST tomorrow (Sun). Winning entries will be randomly selected and I’ll announce winners at that time. The winning books can be shipped within the continental United States only. And for an excellent introduction to Newton’s life and ministry, I highly recommend John Piper’s 90-minute biographical message which can be downloaded for free from the DG website here. How indebted we are to Newton! I gottsta win one of these things….i hope? Sounds to be good info. Thank you for your ministry! You are gifted, in that you have the ability to take the “difficult” subject of Christian Apologetics and explain it in such a way that everybody can understand it, yet you do not “dumb it down.” god bless you in your ministry!! I’ve read some of his letters, and they are always encouraging and inspiring. Men like Newton motivate me anew to follow Christ with purpose and passion. 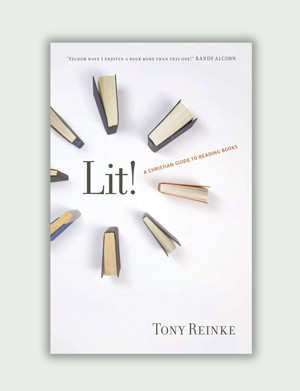 Thanks for the book recommendation; your choices are always excellent! I look forward to your book release as well! In a way Newton’s story is our story too…shady pasts before the Gospel shined through, grace from start to finish. Please enter me in this draw…I’d love to have this volume. I would love to learn more of Newton’s legacy beyond ‘Amazing Grace’! It would be great to read more about this hero of the faith. Biographies are blessings as well as lessons. Another thanks to Tony and Crossway! I would love to read a Newton biography. Read Hindmarsh’s biography of Newton and loved it. 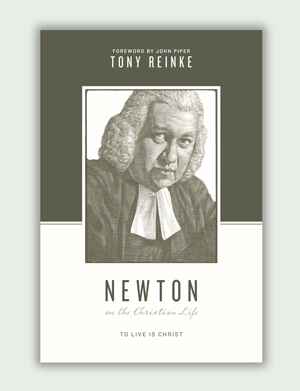 I would like to try Aitken’s work and refresh my memory concerning the life and ministry of Newton. Sounds like a wonderful opportunity to obtain a book about a very inspiring person. Amazing grace says it all. My husband just finished taking a class that discussed the British slave trade and it was very interesting and enlightening. Thanks for the great giveaway! I love the dead guys!! I have the movie “Amazing Grace” and I love it! Count me in. Amazing grace! Sweet! The possibility of winning free books to add to my library that I will someday transfer to my sons. Thanks for the opportunity Tony and Crossway. Count me in Tony! Thanks again for your faithfulness! By the way, I finally received my copy of “Reformed Dogmatics”…..WHOA! Thank you Pilgrim, that’s very kind encouragement! Thanks for reading! Amen, Newton is one of the best letter writers in church history. We are blessed to have his works to read and to be edified by today. And thanks for the kind words about my book Zanne! Hindmarsh is very good especially at looking academically at the world in which Newton lived and ministered. But on the whole I’d say Aitken is a little more well-rounded, more biographical in the full sense of the term, imo. Ha! Okay that’s funny, Jeff. And disturbing. Enjoy!! Bavinck is a theological banquet for the hungry soul. Stay hungry my friend. This is a gem of a biography. I sure hope you win it! Count me in, please. These giveaways are a great idea. Thanks, Tony. Of books denied to me. Okay, I’d say to date this is your finest work, Tom. Brilliant. That fav’d no wretch like me. No kind Yankee I see. Okay, it’s time to close the comments to this post, partly because it’s 5:00 and the entries are no longer being taken, but mainly to shoo away the Canadians.